Nearly 170 people packed the CCI office to join the clean water fightback! Des Moines Water Works Director Bill Stowe and DMWW board members Graham Gillette and Mark Wallace gave us the low-down on what the legislature is attempting to do with two bad bills in the House and the Senate that would dismantle the DMWW and distribute $270 million of assets to surrounding customers. House Republicans introduced a big omnibus gun bill this week, HSB 133. 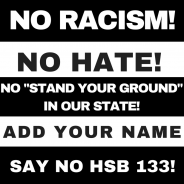 While there are many concerns with the bill, our biggest concern is the provisions in this bill that would effectively make Iowa a “Stand Your Ground” state - a measure with clear racial bias that makes our communities less safe. 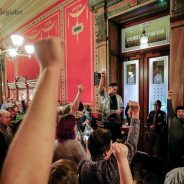 As legislative forums and direct actions continue to stay hot across the state, we’ve been getting more and more questions on how to live-stream these events. 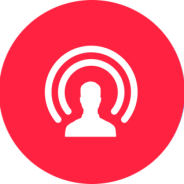 Check out this quick how-to-live stream tutorial to learn everything you need to know on how to utilize this insanely effective tool! A bill that lowers the county minimum wage increase for 100K Iowans is on the move … but read why this bill is even more dastardly than that. 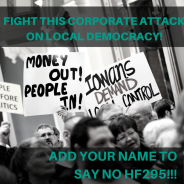 TAKE ACTION: The House Local Government sub-committee met to discuss HSB 92, a bill that would prohibit counties and cities from having local control in employment matters, including establishing a minimum wage. TAKE ACTION: Right now, there is a bill at the Iowa Statehouse that would grease the wheels for Trump's attacks on immigrants in our communities. 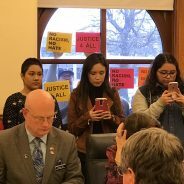 HSB 67 - what we're calling the "You're Not Welcome Here" bill - aims to punish local law enforcement, public officials, and colleges taking a strong stance to support the rights and safety of all people. In particular, this bill targets DREAMers (DACA recipients - young immigrants) and immigrant families. 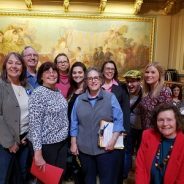 Tuesday, January 24, CCI Action members packed the Statehouse pushing for our people first agenda at our Rally and Lobby Day. We delivered a letter to Gov. Branstad, demanding he and Kim Reynolds stop putting corporate interests over people and planet. Here's our pledge of resistance! Check out a video of our action and scroll below to read the full text of our letter. 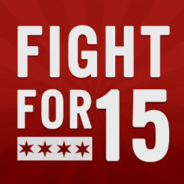 They have corporate lobbyists, we have you. 15 CCI Action Citizen Lobbyists had 16 face-to-face conversations with key committee members to stop three bad bills that attack our environment, communities of color, and our voting rights. Here's what we found out. CCI Action organizers and leaders are your eyes and ears at the Statehouse. We're tracking bills- both good and bad - and will let you know when your call or email can have the biggest impact. Check out the list of the bills we're tracking so far this legislative session.